Are you in need of a water-type Pokémon for your travels? Well, perhaps it’s about time for you to finally catch yourself a Squirtle. Just think of how useful it would be to have a Squirtle with you! Fire-type Pokémon would never stand a chance. Brock wouldn’t even be able to deal with you, since he only uses rock-type Pokémon. Lt. Surge would have your number, but hey, you can’t win ‘em all (even if you can catch ‘em all). Unfortunately, catching a one of those little guys is a lot harder than you might think. It’s not like the Squirtle Squad is just hanging out at the end of your block and crawling around in the tall grass usually just yields a bunch of Weedles. And where do you get actual Pokeballs anyways? Well, maybe there’s an easier way to catch a Squirtle. 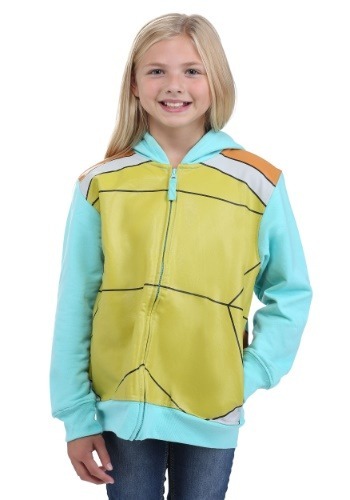 Maybe you could just turn your little one into a Pokémon with this Squirtle costume hoodie for kids! The costume hoodie has a yellow shell print in the front and a brown shell print in the back. 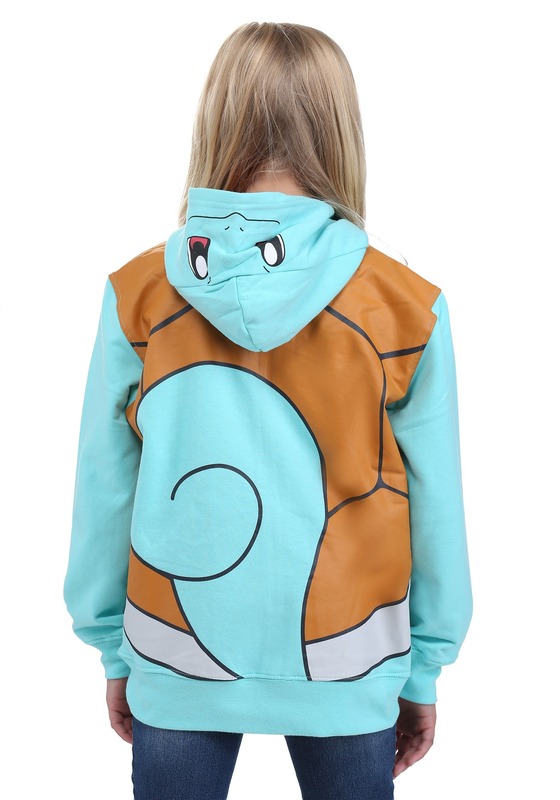 It also has a character hood which is designed to look like a Squirtle’s face. It zips in front, making it an easy way for your little one to cosplay as their favorite critter! It also helps you catch ‘em all, since you’ll finally have a little Squirtle in your squad!